Welcome to reDefine Home Design! We design beautiful interior spaces for homeowners and home sellers in Raleigh, Durham & Chapel Hill. Our Mission is to create beautiful spaces in a fun, loving environment expressing kindness and humility to all! Paint, flooring, lighting, furniture, fabrics, cabinets, countertops… the list goes on. Creating an inviting interior space is a skill that requires style, knowledge, materials experience, and access. At reDHD, we take the guess-work out of decor; we offer a variety of service levels to accommodate interior design and home staging clients. Whether you live in a home and want to maximize its style and value – or you’re preparing to sell and want top dollar – or you’re a builder that needs to outsource decor selection – or a Real Estate Agent with client-staging needs, we can work with you! Roberta Frank is a prominent and innovative designer directing a successful solution based full service design firm. Her expertise in project management and comprehensive design are reflected in the numerous projects completed on time and within budget. Roberta utilizes spaces effectively and creates room settings which strike a perfect balance between form, function, and elegance. Working with architects and builders during the construction phase, she offers guidance for interiors to enhance the potential design-build of your home or office. Roberta’s passion for fine art, antiques, and interiors is reflected in the final goal, creating a unique visual experience portraying her clients spirit and vision. CK Home Design Group is a full service interior design company based in Durham, NC. Coming from Europe, Maria Coleman and Virginia Kline bring a unique and individual approach to each of their clients' projects. From single room to whole house, new design to redesign, they will transform your house into a stylish yet comfortable home. BEST OF HOUZZ since 2013--Service AND Design! At Just Jill! Interiors, our philosophy is simple: Your home should be comfortable and easy to live in but dazzling when folks pop by without you having to do anything. We spend a great deal of time getting to know our clients, their styles and their needs before we EVER pick up a pencil. Why? Because as Jill puts it: "I go home. You stay! Your space needs to look like YOU, not me. I have my own house--if I am going to decorate in MY style, I'll just do it there." Look through our project photos! You'll see EXACTLY what we're talking about! Southern Studio Interior Design is an award-winning interior design firm specializing in residential design and new construction. We believe that a well designed home is timeless and reflects the unique personalities of its owners. The mission of Southern Studio is to provide a high level of creativity, integrity and personalized attention to every project. Feel free to reach out to us, we would love to hear from you! DESiGN iNKREDiBLE is known for the use of rich colors and the creative mixture of bold patterns and textures. However, we recognize that each project is an expression of the client’s unique personality. Clear, concise communication of ideals and artistic preferences are essential in creating personalized spaces tailored to satisfy the desires of each client. Fine craftsmanship, clean lines, and style combined with function, are all hallmarks of the acclaimed Minta Bell Design Group. What is interior design? It goes beyond interior decorating and design ideas. The professionals of Minta Bell Design Group are dedicated to the “Science of living”. We work closely with you to understand your lifestyle and your vision for your home. We will ask those important kinds of questions; do you have pets and/or children? Do you entertain frequently or is your home your refuge? We customize and tailor the pieces selected for you to fit your wants and needs. Color, proportion, balance and scale work together in context with function, aesthetic appeal and architecture to transform your house into a home that nurtures your well-being and inspires your best life. With a combined experience of sixty-three years, we have come to know that great interior design is not accomplished through the addition of things, but rather the synergy of the planning, furnishings, texture, and material. Excellent project management sets apart Minta Bell Design Group. We have the knowledge, experience and skills to bring the designs from paper to reality with the strong planning and coordination. For busy families and professionals, having us manage your project and the work in your home can be a welcome relief. We believe that excellent interior design has the power to transform your daily experience. We look forward to beginning you project. Both Raleigh, NC interior professionals are closely related and often mistaken for the same thing, however, there are some significant differences you should be aware of before hiring. An interior designer, also known as an interiors architect, will not only hone your style down to its very essence but will be able to choose a functional layout. All Raleigh, NC interiors designers require specific schooling and formal training. They use their specialised knowledge of interior architecture, building regulations, materials, and furnishings to help you arrive at your dream home design. Interior design companies can come on board during the early stages of construction to plan spaces and room functions down to the last detail, and can help design and renovate interiors and decorate. On the other hand, an interior decorator will typically be involved with the “look and feel” of a space, and won’t be able to assist in renovations that require structural work. Interior decorators in Raleigh, NC normally come on board after all structural work is complete. Why should I hire an interior designer or decorator in Raleigh, NC? Everybody wants to a home that reflects their personality, though some of us are just too preoccupied with a career and/or family to think about colour schemes, wallpaper, flooring, and lighting. 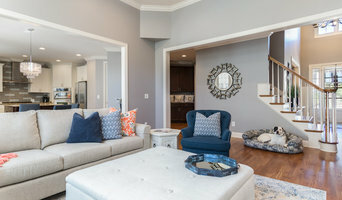 A Raleigh, NC professional interior designer can save you bags of time, stress and months. Residential interior designers and decorators in Raleigh, NC understand the latest trends, have a good sense of layout and functionality. They can also save you money by sourcing products via trade contacts or offer affordable alternatives to blowout iconic designs. How do I choose the right interior designer in Raleigh, NC for my home? Every Indian home is unique in its style and can be an inspiration to define your own style. 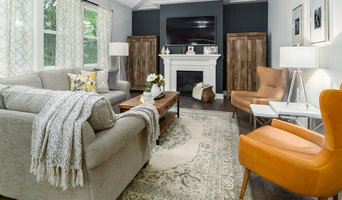 You start by looking at images and work of different interior designers and decorators in Raleigh, NC. Save the pictures and details of the professionals who match your taste.There are plenty of interior design companies and interior designers who can help you turn your living room into mix-and-match lounge oozing an eclectic style, or turn a pale and interesting minimalist bedroom with shots of colour, or a beautiful space inspired by Scandinavian design. Pick an interior designer in Raleigh, NC who has completed work similar to the look and feel that you desire. Be sure to discuss your needs, ideas, constraints, and budget early on. Some interior companies are design only, while others can oversee the whole project. If it is the latter that you seek, make sure all subcontractors used are well experienced and accredited. What are some of the important questions to ask Raleigh, NC interior designers or interior decorators? Find an interior designer or home decorator on Houzz. 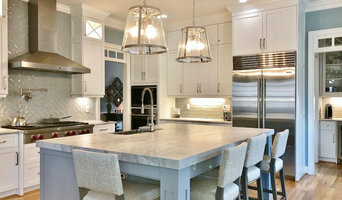 Narrow your search in the Find Pros section to find Raleigh, NC interior designers & decorators. You can also look through photos to find a room you like, then contact the interior design firm who designed it.